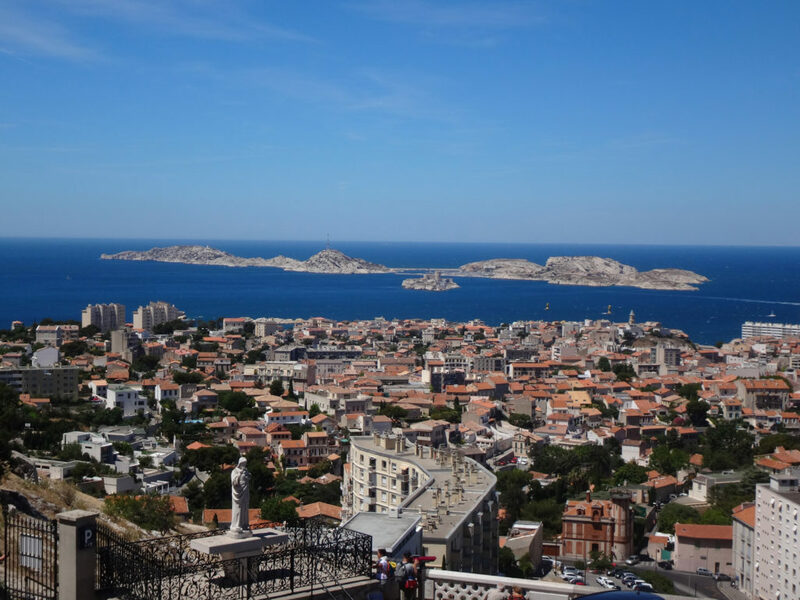 Daniel and Carole showed us the magic of Daniel’s hometown of Marseilles. 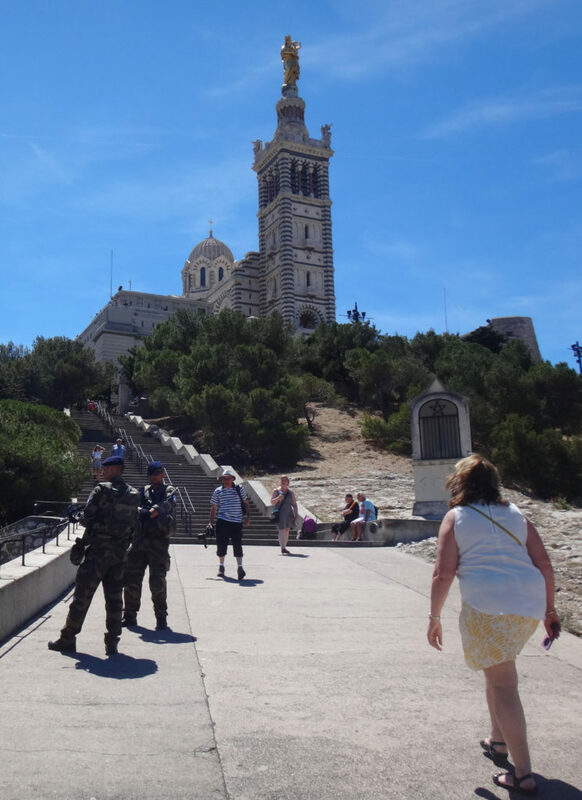 After enjoying stunning views of the Bay of Marseilles at sea level and a panorama of the city from the top of Unite d’Habitation, we raced to the Basilique Notre-Dame de la Garde. Yes! Daniel is a true French driver. That means we got to each destination quickly, efficiently, and thrillingly. 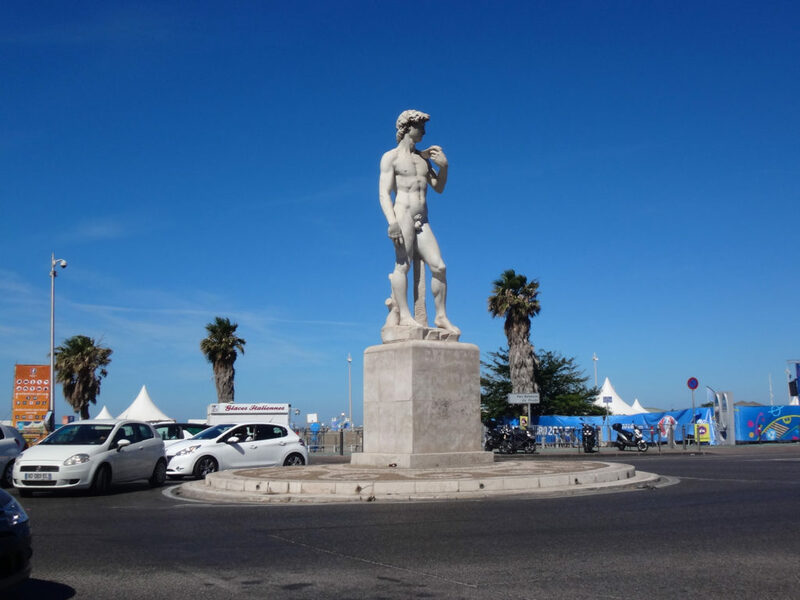 Not only was it interesting to see Marseilles through Daniel’s eyes, it was fun to drive with him at the wheel. 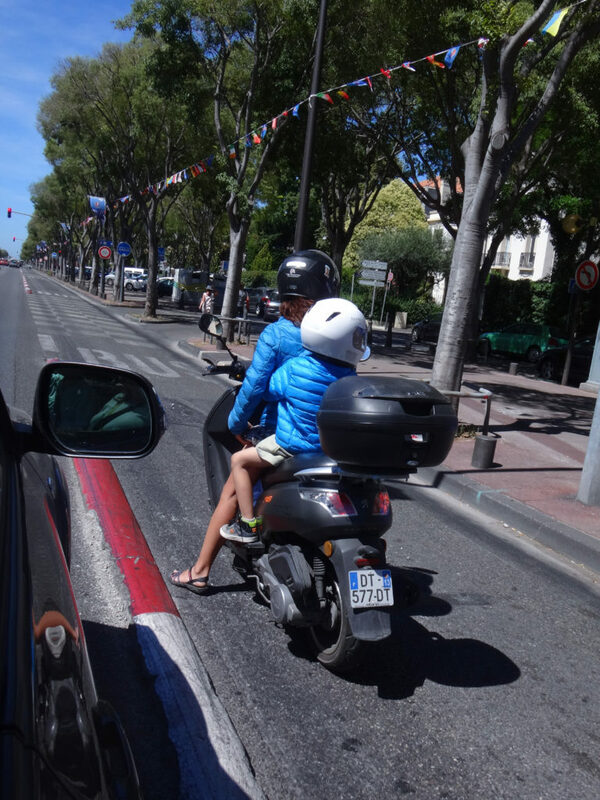 We saw many children riding behind their parents on scooters and motorcycles in Marseilles. Not many bicycles here, but lots of different kinds of motor vehicles. 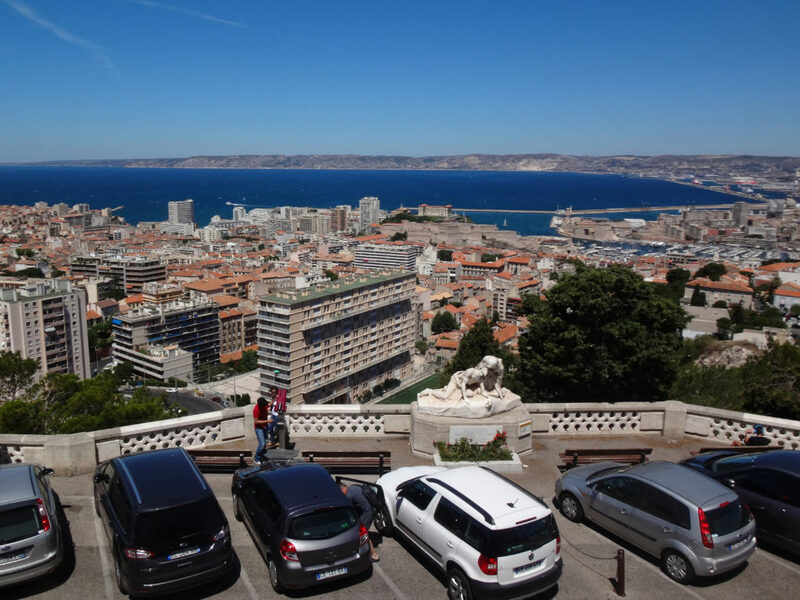 When Daniel parked the car at the bottom of about 1,000 steps, I thought we were hopping out for a view from the bottom of the mountain upon which sits Basilique Notre-Dame de la Garde on Marseille’s highest point. But, no, Carole started hiking up the stairs like voila! here we go. Sher and I looked at each other, gulped, and started climbing. I discovered this plaque along the way. Helpfully, the second paragraph is in English. As we climbed, I kept turning around to take photos of the expanding panorama below me (and to catch my breath). The view just kept getting better the higher I climbed. According to Marseille’s website, “Marseille’s iconic figure, Notre-Dame de la Garde or “La Bonne Mère” watches over sailors, fishermen and the entire city…Garde Hill has three roles: a surveillance post, a military structure and a cult and pilgrimage site.” As you can see in our photos, “The Good Mother” is definitely a surveillance post. 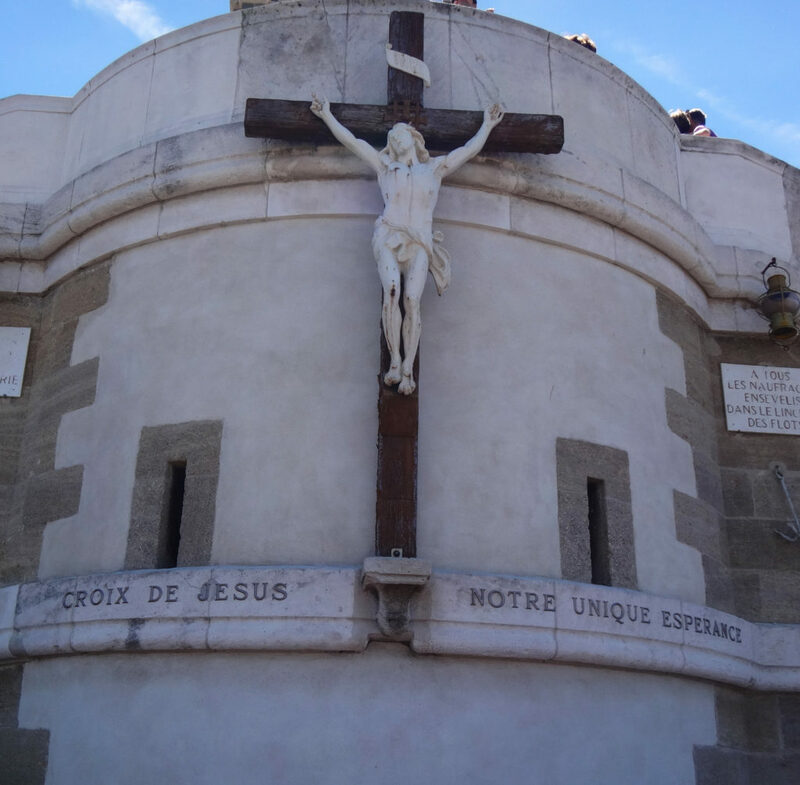 The Basilique Notre-Dame de la Garde, built in the mid-19th century atop a 13th century chapel, is also a place of worship. When we arrived, mass was being said. Here’s a tiny video of the mass. The walls are made of white carrara marble. 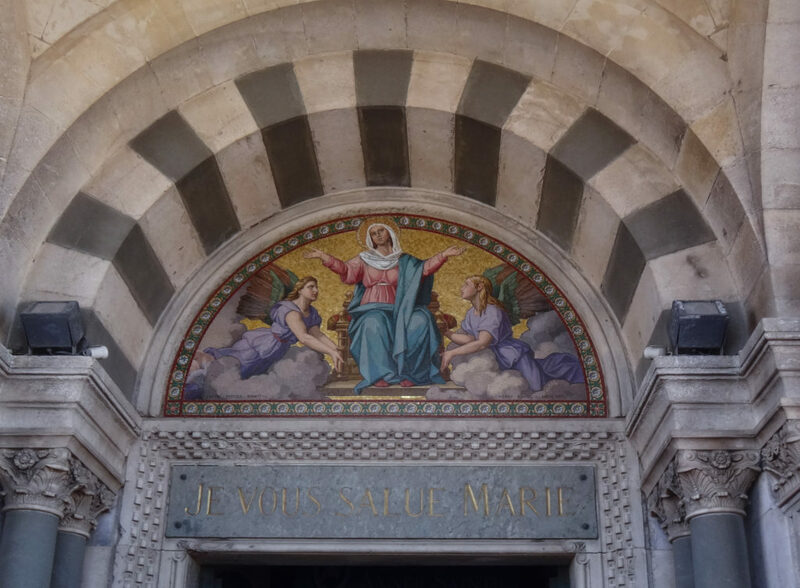 The red marble serves as a bridge to the intensely colored mosaics. The glorious gold ceilings lift your eyes to heaven. I’m thinking that’s probably the idea. Boats hang from the ceiling. I think they are hung there asking for protection. 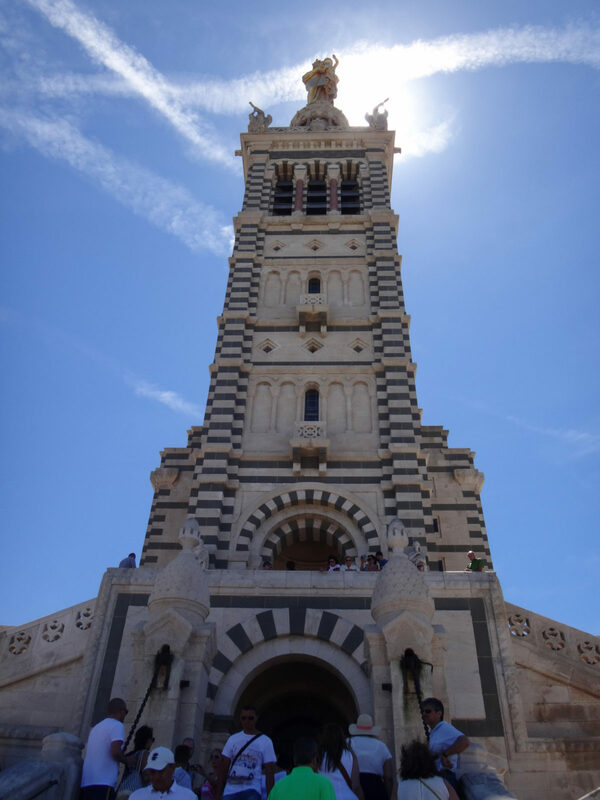 Basilique Notre-Dame de la Garde in Marseille, France. Several side chapels held further wonder but the smallish basilica was so crowded that it was difficult to get near anything. 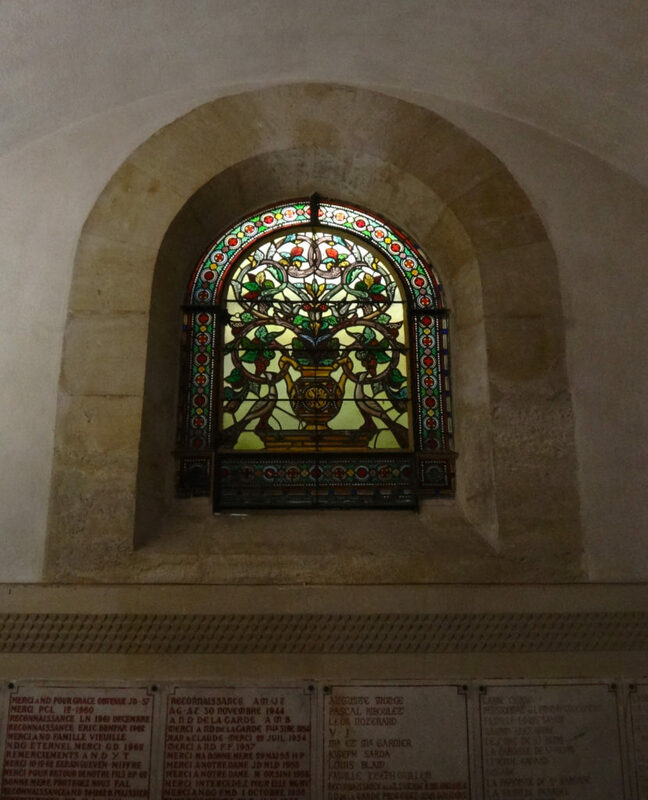 A small stained glass window in one of the chapels at Basilique Notre-Dame de la Garde in Marseille, France. 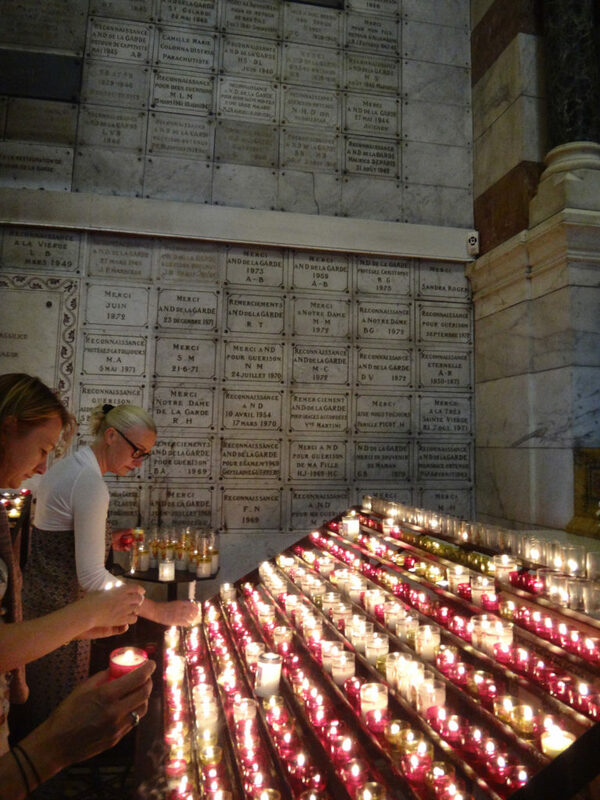 The faithful light candles at the Basilique Notre-Dame de la Garde in Marseille, France. The outside of the basilica is just as beautiful as the interior. It reminded me of many Florentine churches I’ve seen in Italy with striped exteriors. This church, built about 1850, features layers of white and green stone. There’s a large plaza in front of the church overlooking the city and the church is about two dozen steps above the plaza. 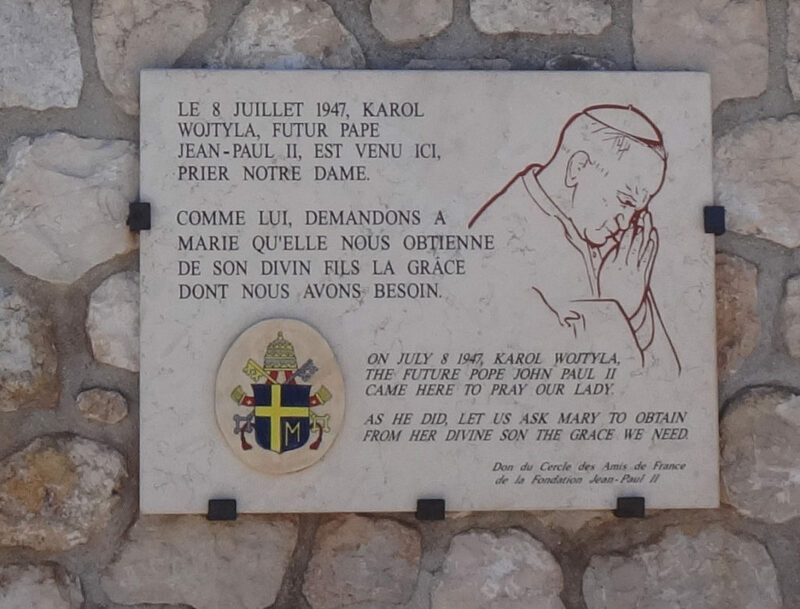 This plaque commemorates the visit of Pope John Paul II in 1947. 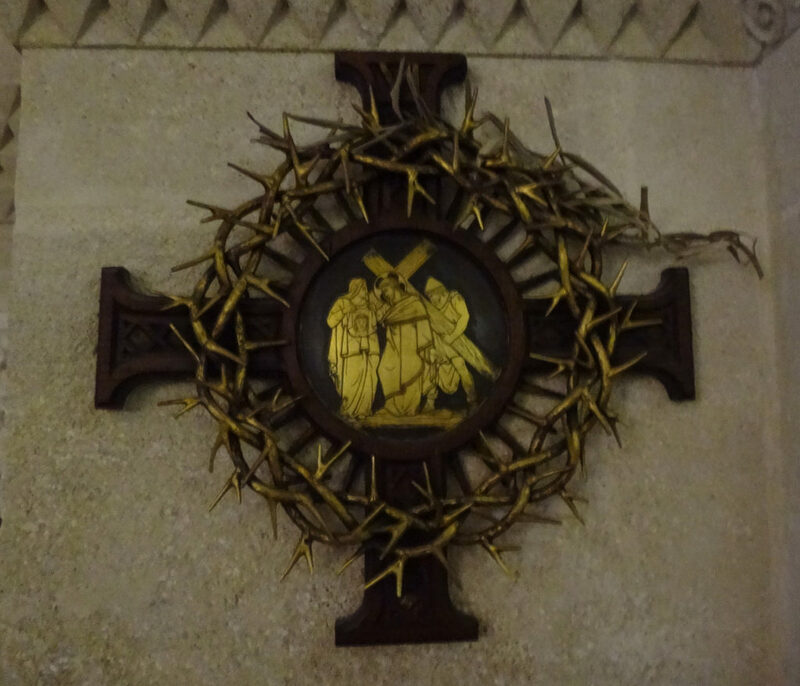 He advises pilgrims to ask Mary to obtain from her son the grace which we all need. 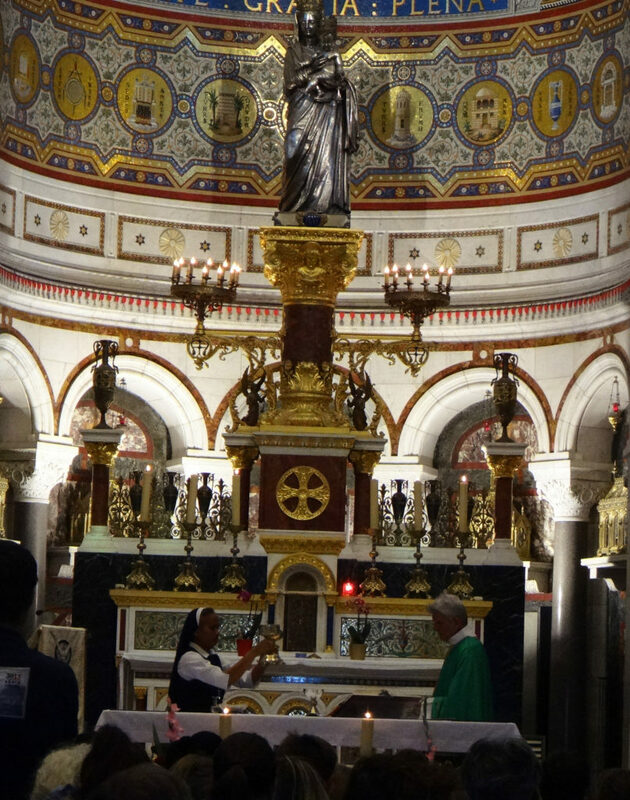 Basilique Notre-Dame de la Garde in Marseille, France. 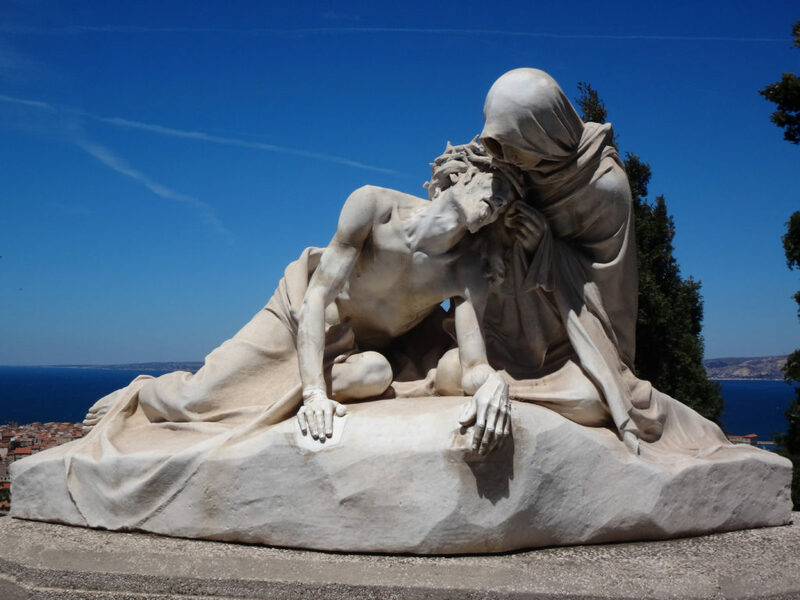 The Passion of Christ statue is staged dramatically in front of the basilica overlooking the city and the sea. Basilique Notre-Dame de la Garde in Marseille, France. Going down the mountain was a LOT easier. I was so surprised when we reached our car that there was a huge tank with its turrent pointed up hill just steps from where our car was parked. You have to look closely but the tank is in the middle of the photo behind the little square black car. 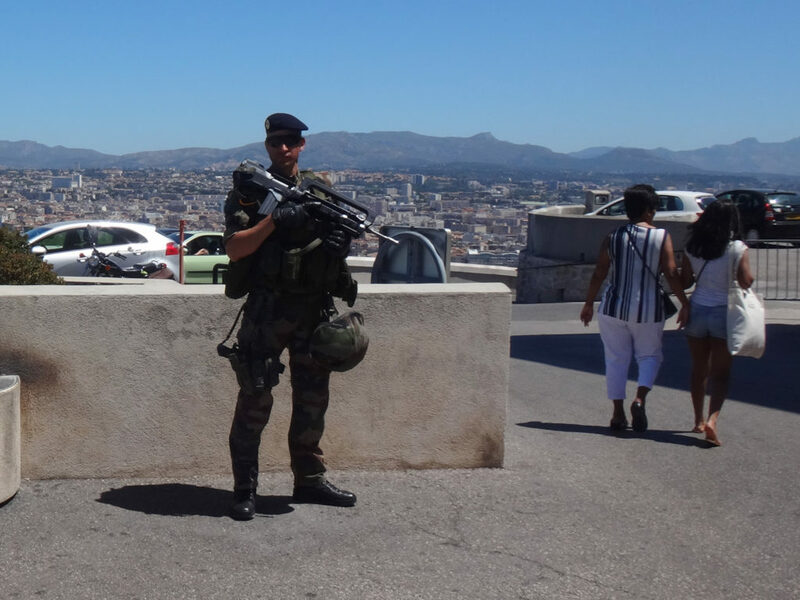 In 1944, the Germans had taken Notre-Dame de la Garde. 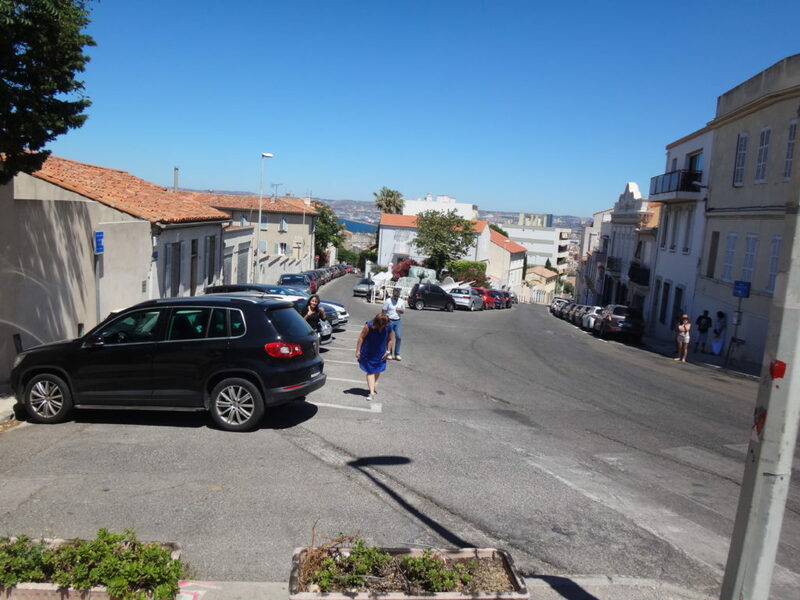 You can see how steep the streets are that the Allies had to climb from the sea to try to retake the high ground. Snipers picked the men off until a French soldier from Marseille was able to lead the men through a building and up a secret stairway to confront the Germans. A few hours later, the tanks made their way up the hill. 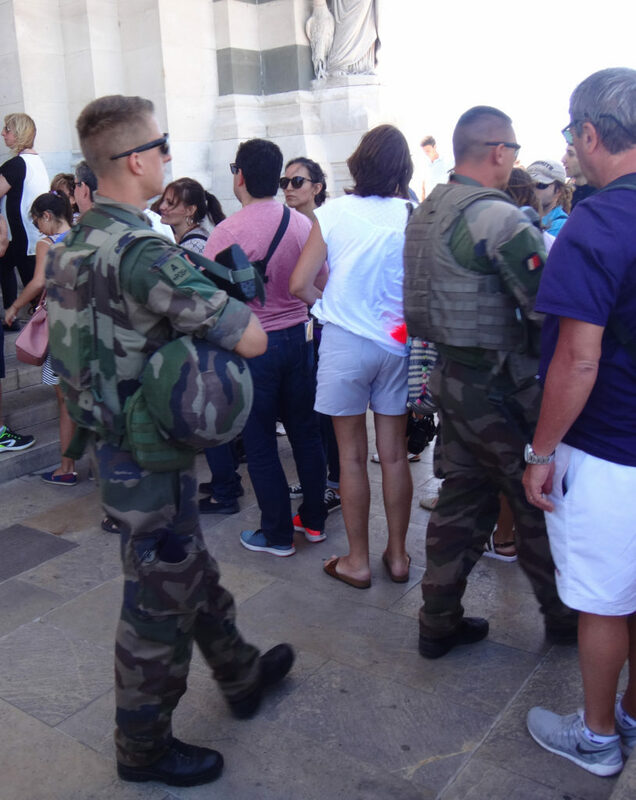 They retook Notre-Dame de la Garde on that day, August 24, 1944. So, next stop: the waterfront. Come with us to lunch and the sea! 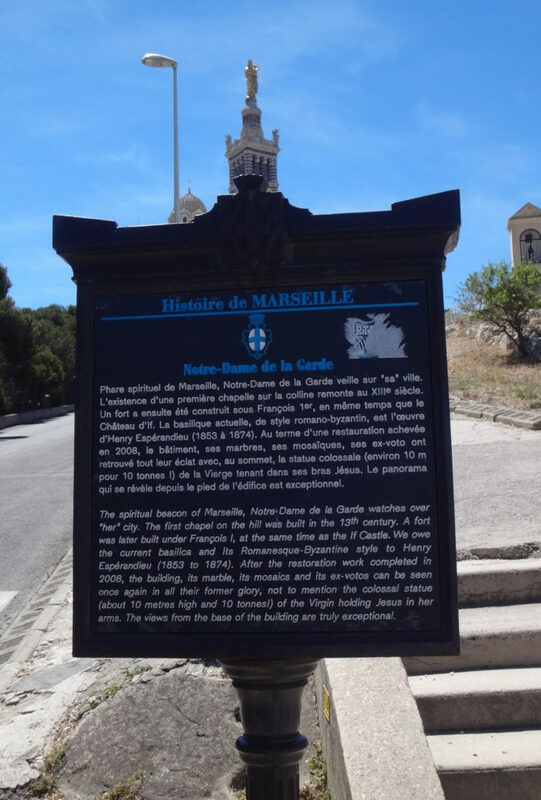 NOTE: We saw so much that I’ve split Marseille into three separate blog entries. 1. The first entry is Unite d’Habitation Le Corbusier. Marseille, France. 2. 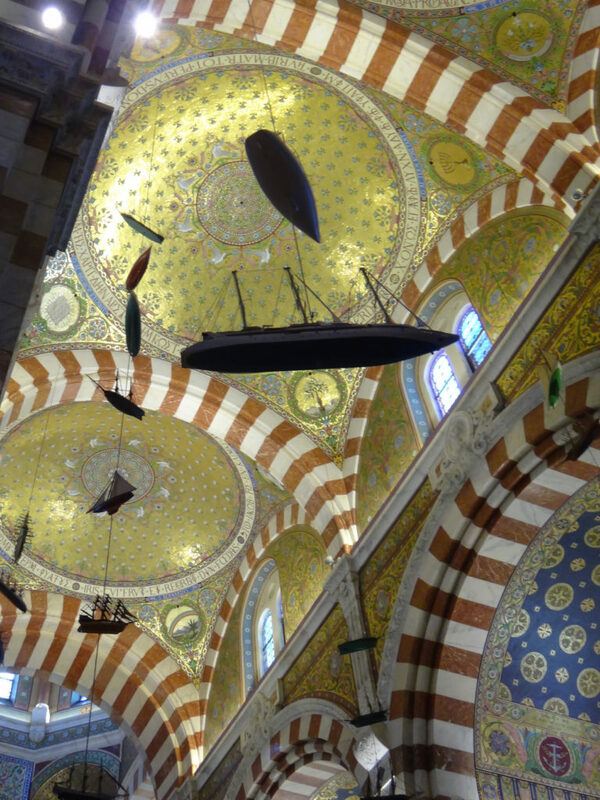 The second entry is Basilique Notre-Dame de la Garde. Marseille, France. 3. 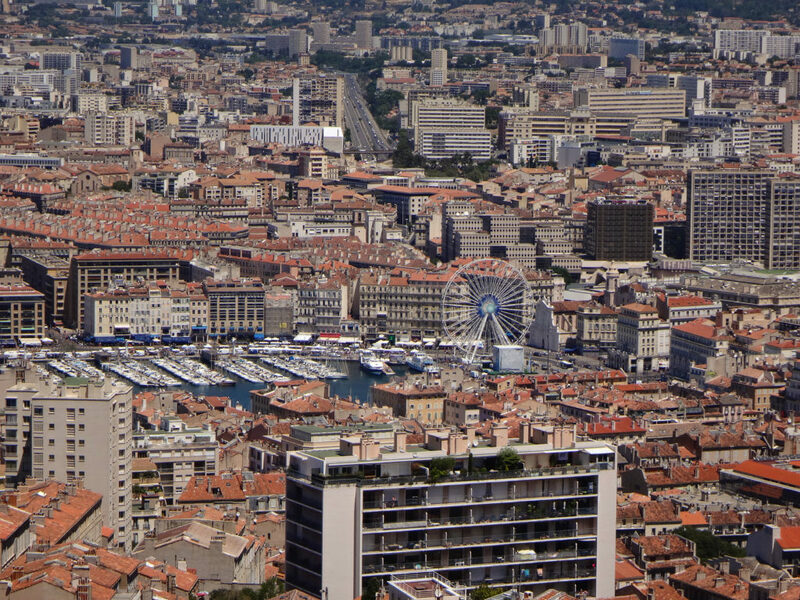 The third entry is the waterfront and a typical French lunch. Marseille, France.